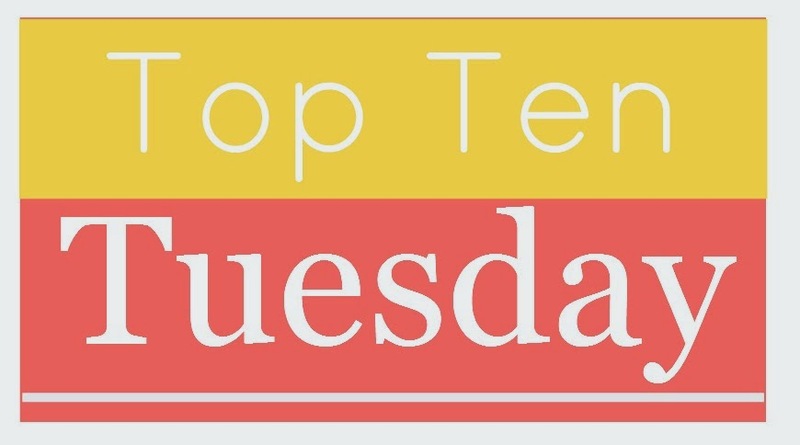 Hi and welcome to my first Top 10 Tuesday post! I've seen this one around the blogosphere for a while now and I've always wanted to participate. So I finally saw a topic that caught my eye and I thought... "Hey why not?" Thanks to the lovely ladies at The Broke And The Bookish for creating this weekly meme! 1. Sitia and Ixia from Maria V. Snyder's STUDY and GLASS books. This is my favorite high fantasy series of all time and I want to visit these vividly imagined magical lands and of course meet Valek, Janco, Ari, Leif, Yelena, Opal, and all the other characters! 2. Cane from Claire Legrand's WINTERSPELL! This book is one of my favorites of 2014 and the land of Cane is as beautiful as it is dangerous. I would love to visit and maybe party with the fey. 3. The Multiverses from Claudia Gray's A THOUSAND PIECES OF YOU! Another favorite of 2014!!!!!! Especially the Russiaverse! It's a rich and opulent version of Russia! I would love to visit the winter palace and also a certain Daca lol. Ooooh the water world would be fun also! 4. Wonderland but not Lewis Carroll's version. I want to go to A.G. Howard's Wonderland from her SPLINTERED Series. Another beautifully written dark and dangerous world. I may get eaten by a plant but hell even though I'm Team Jeb I want to hang out with Morpheus and his fae friends. 5. Beau Rivage from Sarah Cross's BEAU RIVAGE series. A place where fairy tales and curses are real? I love this series and this town and let the fae curse me if it means I'd find my Blue lol. 6. St. Petersburg, Russia, 1888. From Robin Bridges KATERINA Series. I have always been fascinated with Russian history and the Romanov Family and add a hint of magic? I'm so there! 7. Sleepy Hollow, NY. I've always wanted to visit this place! I love Washington Irving's story and when I read Jessica Verday's THE HOLLOW series it reminded me that I want to visit. I also love the TV series! 8. Hogwarts from HARRY POTTER. Although I'd rather live there than just go visit. 9. Camelot. From Mary Stewart's ARTHURIAN SAGA. This is one of my all time favorite series and I've always wanted to travel back in time to meet Merlin, Arthur, Guinevere, and the knights of the Round Table. 10. Narnia from C. S. Lewis's THE CHRONICLES OF NARNIA series. I've wanted to go there since I was a kid and as an adult it hasn't changed. And come back next week for The Top New Series I Want To Start! Yes to the multi universes!!! I loved that book!!! And Wonderland?! Great pick! I totally need to read this Katerina series because I'm obsessed with Russia! Welcome to Top Ten Tuesday.I would also love to visit Russia and Hogwarts. Both look amazing. Wonderland and Hogwarts made my list too! Oh I didn't think of Camelot! That's a great one. Hogwarts was on our list too! Some awesome settings here! I'd be afraid to go to some of them though - like Wonderland. A.G. Howard makes it sound so cool, but I think I'd probably die. Glad to hear you liked the Winterspell world! Haven't read it yet, but I am REALLY excited for it.